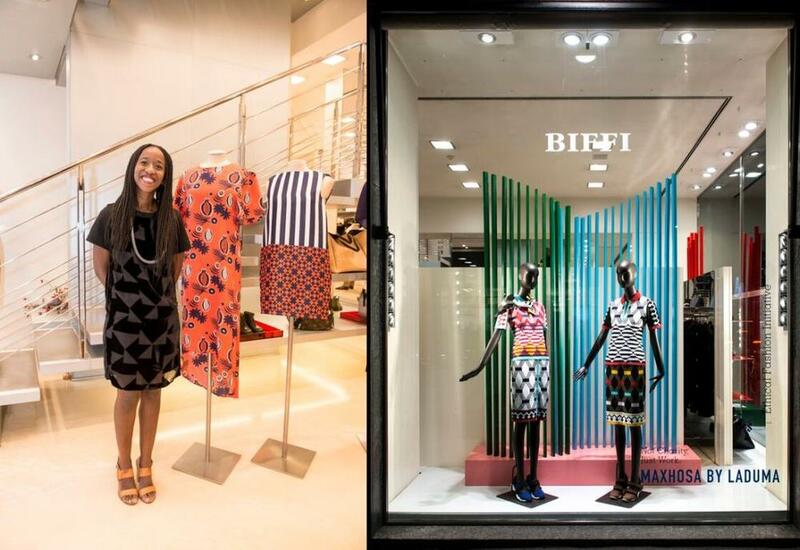 #BeatofAfrica: Designers MaXhosa by Laduma, Sophie Zinga, Ment de Man & More Showcase at Vogue Fashion’s Night Out in Milan! 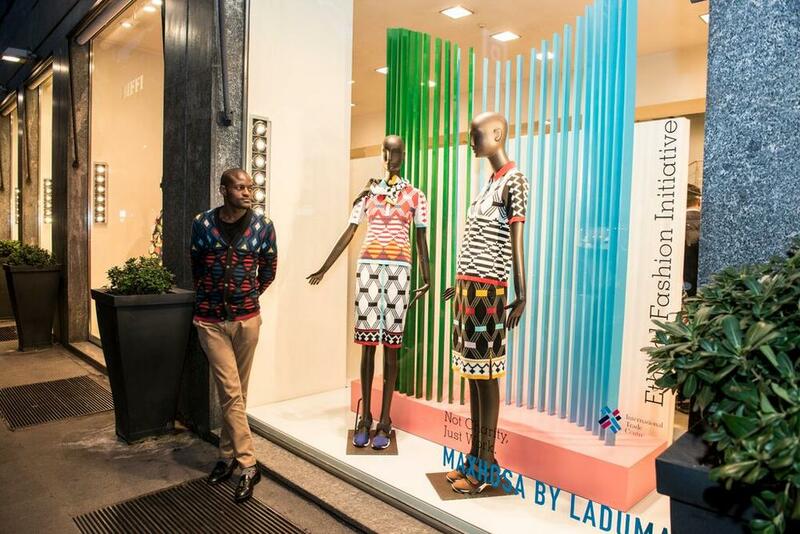 #BeatofAfrica: Designers MaXhosa by Laduma, Sophie Zinga, Ment de Man & More Showcase at Vogue Fashion's Night Out in Milan! 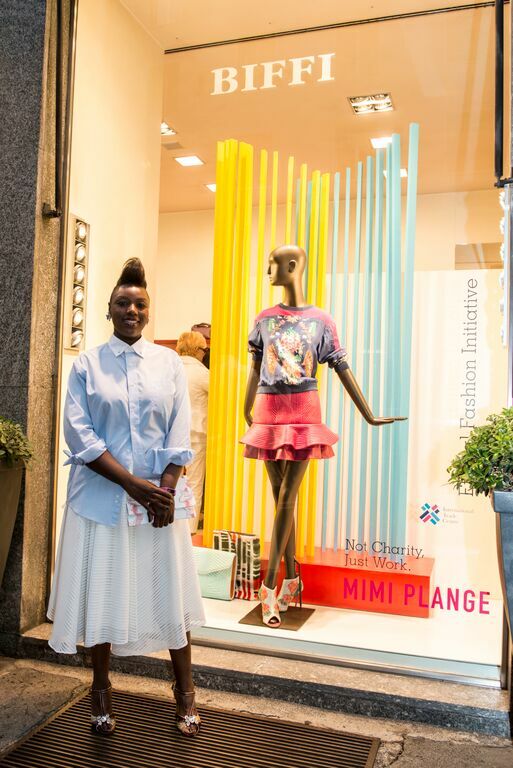 The Beat of Africa fashion showcase recently concluded its 3rd edition at Vogue Fashion’s Night Out and Milan Fashion Week, and featured 5 African designers. 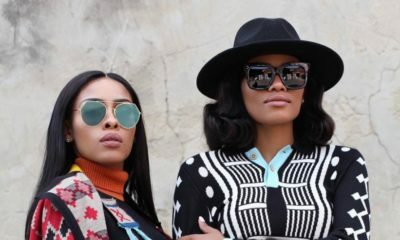 Read the first scoop here. 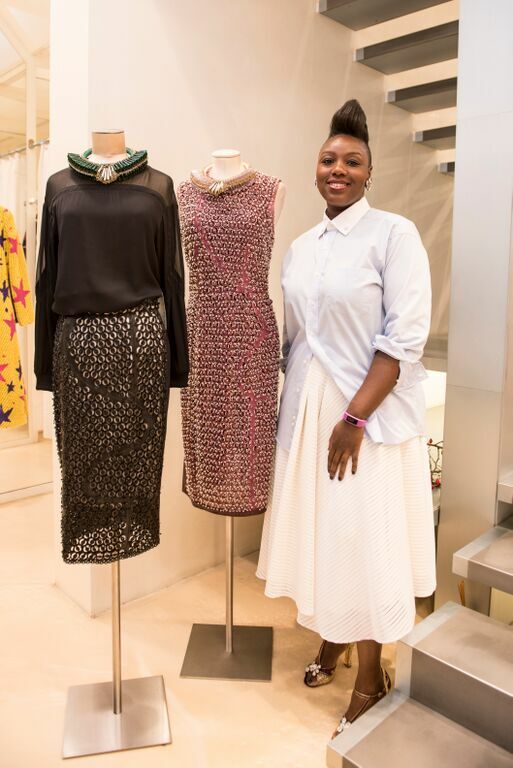 Last year, they had a mix of Nigerian designers like Lisa Folawiyo, and Ghanaian designers like Duaba Serwa showcase their fabulous Spring/Summer 2015 collections. 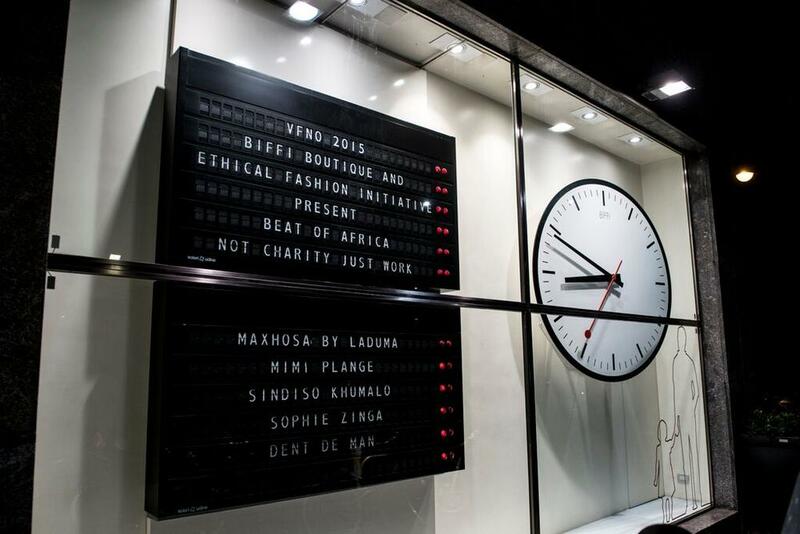 See here if you missed it. 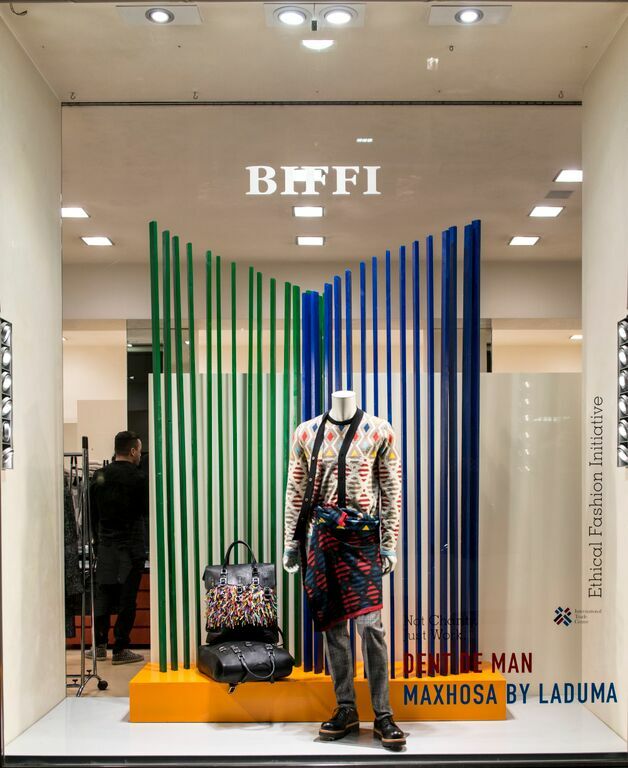 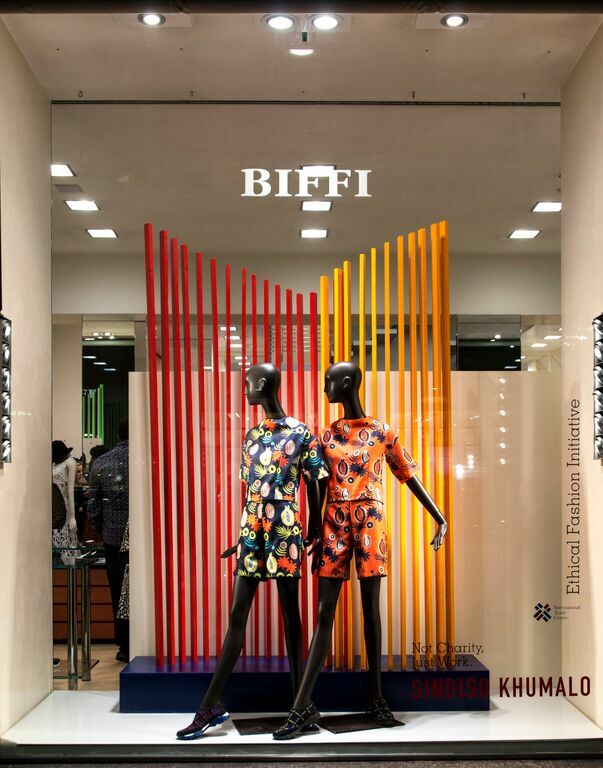 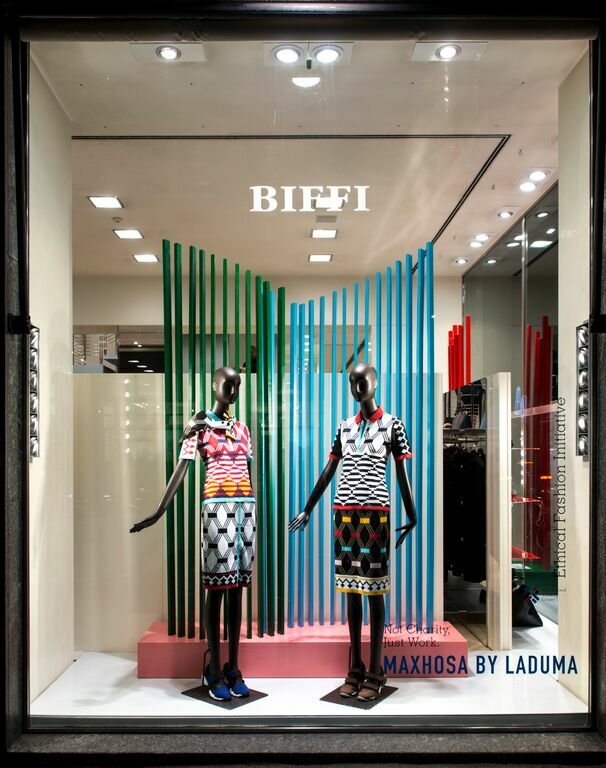 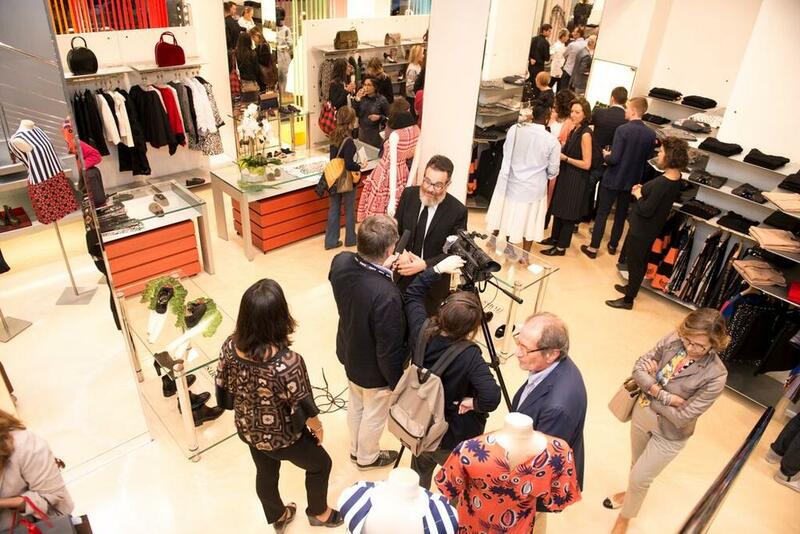 The celebration of African fashion, a collaboration between Biffi Boutique & ITC Ethical Fashion Initiative, saw the designers – MaXhosa by Laduma, Mimi Plange, Sindiso Khumalo and Sophie Zinga – showcase their Spring/Summer 2016 collections at the iconic Milanese store – Biffi Boutique. 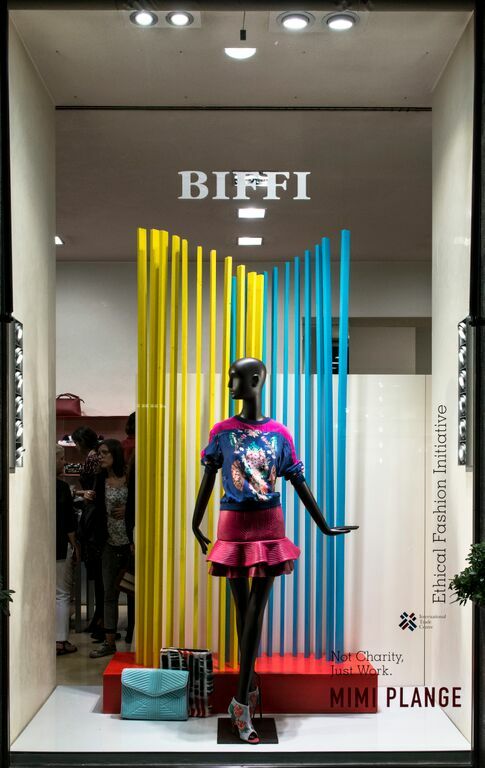 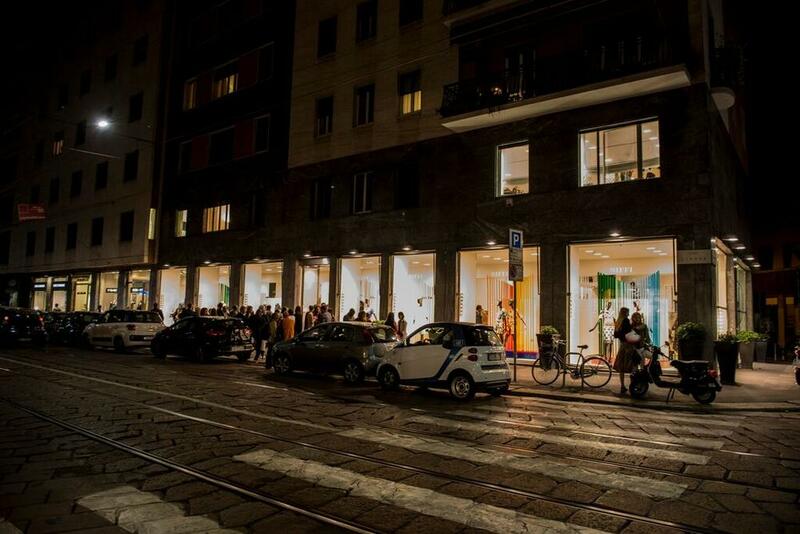 The pieces from the collection were presented during Milan Fashion Week for the shoppers on Corso Genova and the fashion crowd to experience, with vibrant backdrops created by the From Studio Team. 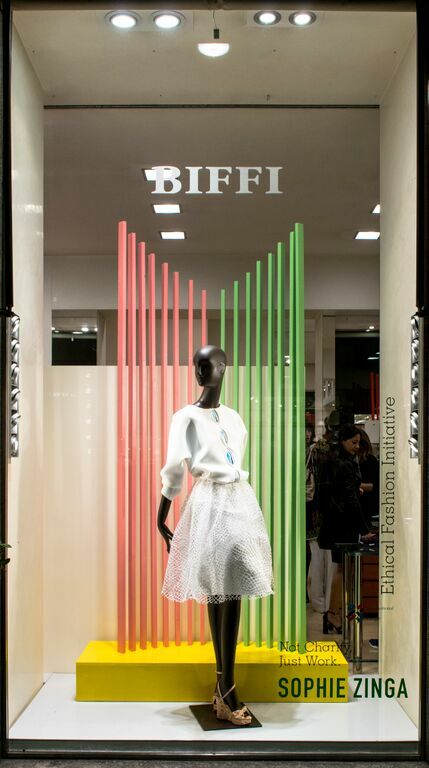 This is lovely!!! 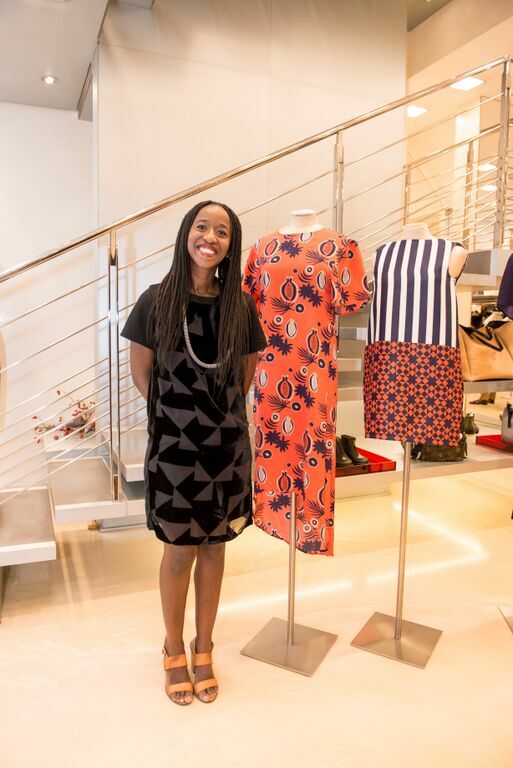 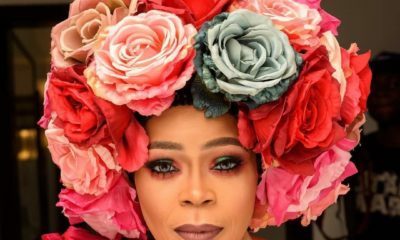 All you fake couture making African designers should take note . 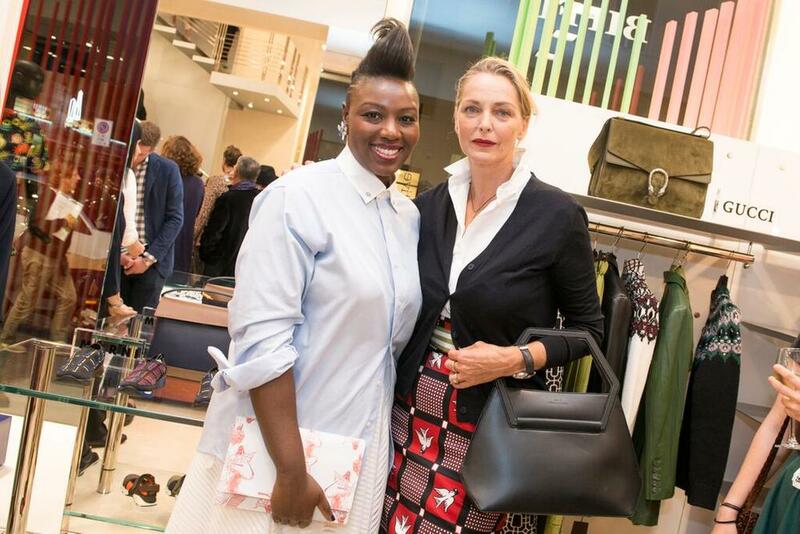 This is fashion!!! 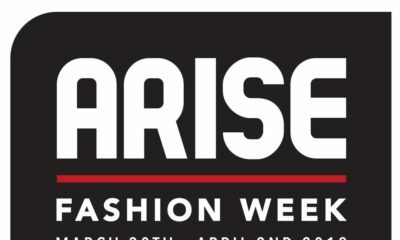 Ahan…don’t be so mean now..we all have to start from somewhere 🙂 encourage,not discourage.